This piece is my graphite and pastel recreation of an artist’s original work. I took the image Fatale by Minni Havas and recreated it on my own in a different medium. 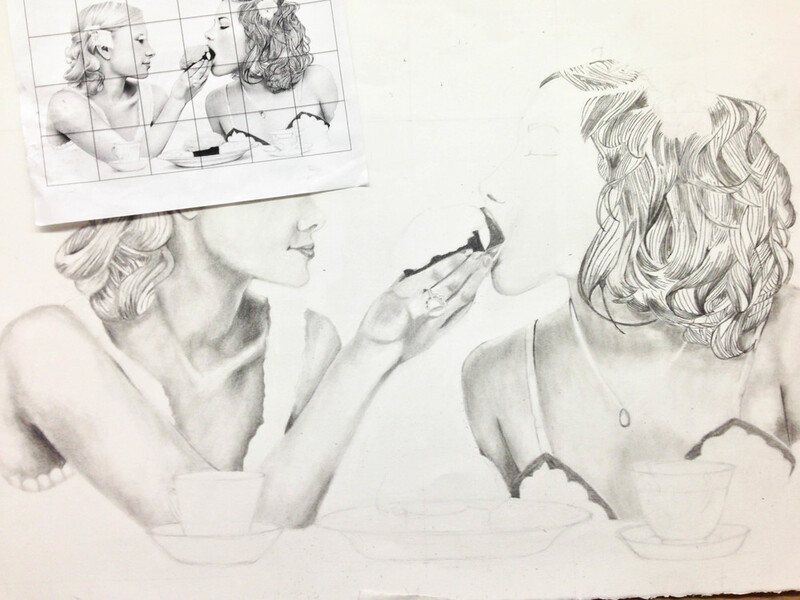 All but the top of the cupcakes is done in graphite. 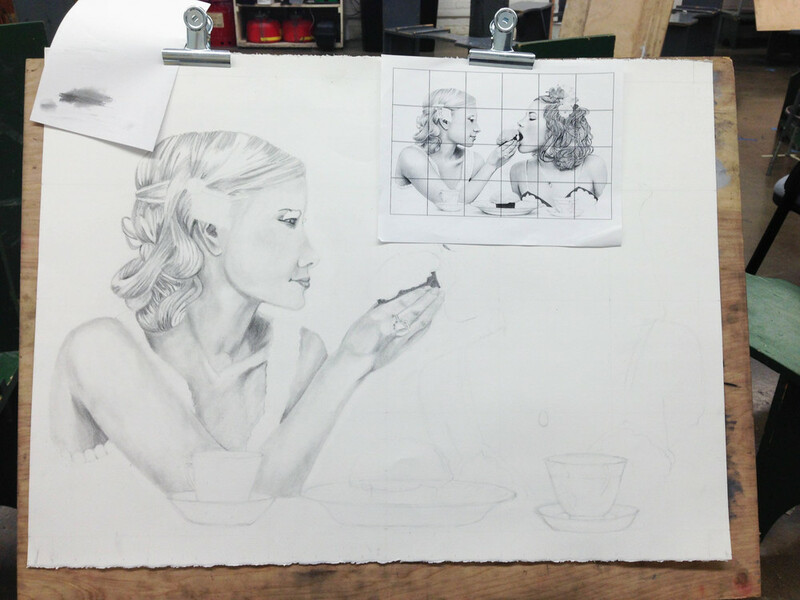 The first image is my piece at completion and the later images are from during the process.